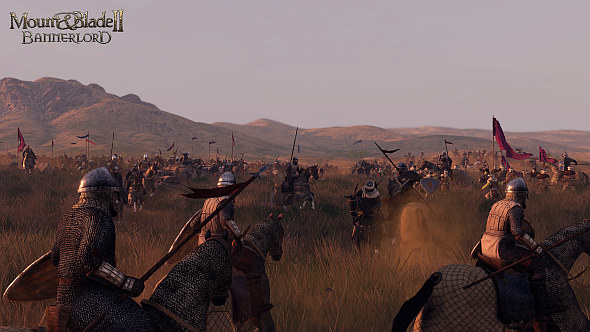 TaleWorlds have offered up another look at Mount & Blade II: Bannerlord, and this time they’re digging into the game’s single-player. Rather than break down the immensely detailed sandbox as a whole, they’re going piece by piece, explaining specific new features here and there to give folks a detailed look at what the game will be. For more on feudal warfare, check out everything we know about Mount & Blade 2. First up is the influence system. Influence is a currency you can gain by serving the kingdom, rounding up bandits, capturing enemies, and that sort of thing. The influence you gain can then be spent to ask an allied lord to join your cause. That cost is determined by the power of their party, and they’ll hang on to all the influence they gain by doing deeds. Of course, if that influence starts to run out the army will start to disband. You can get loads more detail on how it all works in the official post. It’s an interesting change for Mount & Blade, and one that looks to be making a meaningful impact on its historical simulation. It’s also nice to finally get a bit more detail on how single-player will work.